I came up with this easy activity to go along with our "Back to School" theme this week. LB(3) had fun with it, and it was a good way to practice the sounds of letters with him. With the yellow paper, cut out a bus shape. Then draw on 3-5 windows and cut them out. Glue the bus onto the blue piece of paper & glue the wheels on. Everything's ready. Time to play! 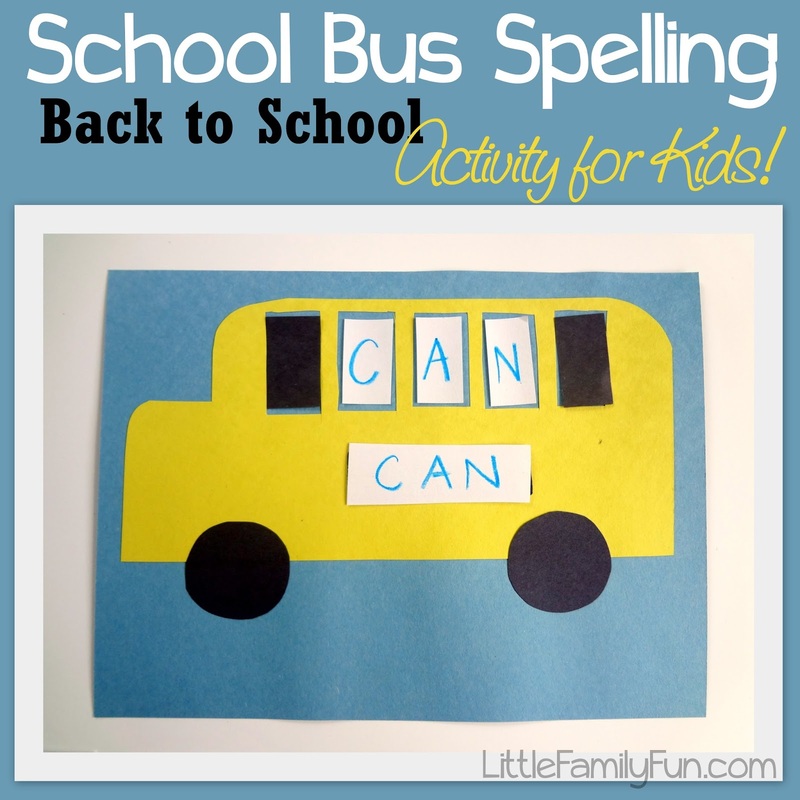 Sit down with your child and lay out the bus, the words, and all the letters. Have them choose a word and place it on the bus. Count the letters, if it's a 3 letter word, then place a couple black rectangles in the windows that you won't be using. LB(3) thought this was pretty fun. But like most 3 year-olds, his attention span was short. We did about 3 words and he was done. :) But there's always tomorrow! I also want to write the letters of his name so he can practice spelling his name too. I love this idea! I am going to make it today. I was trying to think of a more creative way to teach reading, along with Teach Your Child To Read in 100 Easy Lessons, this and the other items you have that are similar are wonderful.